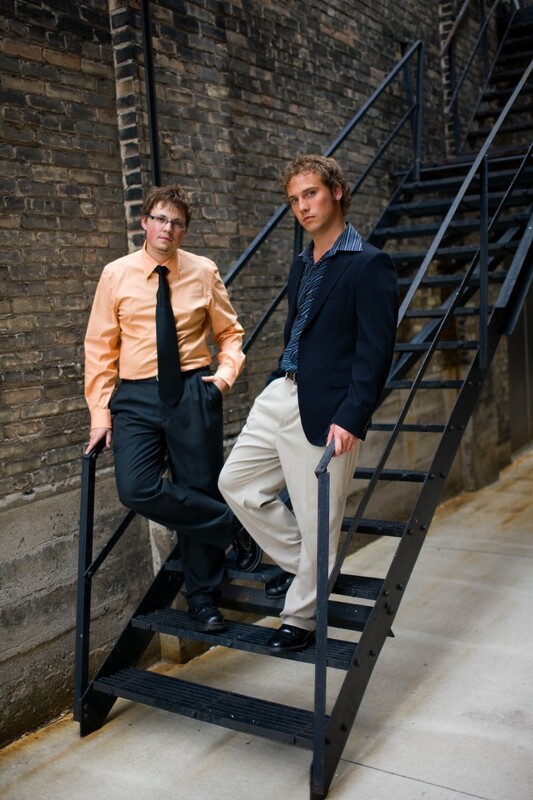 In 2004, two young men just recently out of high school came up with the idea for a local singing competition, and “Lakeshore’s Rising Stars!’ was born! It took over a year of brainstorming, planning, and persuading uncertain business owners to jump on the bandwagon for Terry Stevenson and Riley Haupt to turn all of their ideas into reality. During that year, they had to really work hard to convince business owners – many of whom were much more experienced than they – that two 21 year olds had the ability to produce a high-quality, professional show. Against all odds, and in the midst of so much constructive criticism, Terry and Riley were able to raise the necessary money for ‘Lakeshore’s Rising Stars!’ to take place. Along the way, Terry and Riley were responsible for every part of the production, both the business and the performance aspects, many of which they had had no prior experience with. These two young men took the idea of a small, local competition and turned that idea into a statewide, summer-long competition with a grand prize of $10,000.00! The show impressed even it’s most loyal supporters by becoming so much bigger than anyone could have anticipated. In the summers of 2006 and 2007, many people came out from all over Wisconsin for a two-day audition experience. After much deliberation, ten incredible finalists were selected. Every week, each finalist chose a song to fit within a theme and performed it before a live audience as well as three main judges and a panel of sponsor judges. The scene was set with all the judges right onstage and a live professional band providing a backdrop for the singer. Singers received live, instant feedback from the judges, and Terry and Riley appeared between singers’ performances to host the entire event. Popular highlights of each week were the thematic group songs performed by all the contestants together. At the end of the evening, judges announced their votes live onstage and audience members cast their votes privately in ballot boxes. Throughout the summer, community members would drive – often every day – to area sponsor locations to cast their votes; at the beginning of the next week’s show, the contestant with the least votes was eliminated live. ‘Rising Stars!’ was so popular even in its first season that by week 4 they had sold out crowds, and people camped out overnight for the privilege of purchasing tickets for the finale! “Lakeshore’s Rising Stars!” brought a multitude of benefits to the Manitowoc community. Sponsors experienced increased business, and local establishments benefited as well as people completed their night at the theatre with dinner beforehand and drinks afterwards. Many out of town contestants also brought friends and family members into the community each week. The community members also enjoyed the weekly entertainment and the chance to get caught up in something so exciting. During the course of two summers as well as several ENCORE SHOWS, ‘Rising Stars!’ also generated financial support for local charities and non-profit organizations. The journey for Terry Stevenson and Riley Haupt and the inception of “Lakeshore’s Rising Stars!” is a true success story, from idea to impressive reality, and now that legacy continues, bringing together the show’s rich and exciting history with new concepts and performance elements that will bring the show to a whole new level, and introducing for the first time this year Brennan Seehafer as a third co-producer.